What makes Shear-Seal so special? This special design controls the media through internal galleries in the sealing components rather than across the critical sealing faces. This means that metalic particles and other contaminants commonly found in fluid power systems have little oppertunity to damage the valve. The continual sliding motion between the Shear-Seal faces and the rotor along with the combination of spring and pressure loading, allows automatic adjustment of the seals as they wear in. The lapping action between the valves sealing elements mend minor seeling surface defects with each movement of the handle. The result is a valve that doesn't wear out - but wears in. Barksdale's Heavy Duty Control Valve provides superior directional control for fluids and gasses up to 41.3 MPa in the toughest industrial applications. Using Barksdale's Shear-Seal® technology, the Heavy Duty Control Valve products offer dependable performance and long life even when the media being controlled is contaminated with debris that would ruin ordinary valves. 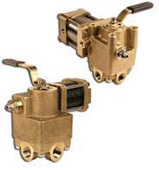 Featuring rugged ball bearing construction, hardened stainless steel seals, and durable bronze and iron cast housings these valves will provide trouble free performance for your critical application in the harshest environments. Barksdale's Sub-plate Mounted Manifold Control Valve products provide ease of installation and service where a sub-plate design is desired. They offer the benefits found in Barksdale's line of mounted Heavy Duty Control Valve products while incorporating a simplified fit. These control valves provide superior directional control for fluids and gasses up to 31 MPa in the toughest industrial applications. Using Barksdale's Shear-Seal® technology, the Sub-plate Mounted Manifold Valve products offer dependable performance and long life even when the media being controlled is contaminated with debris that would ruin ordinary valves. Barksdale's High Pressure 4140 Series 4-way valves provide superior control for fluids and gasses up to 15,000 psi (1,035 bar) in the toughest industrial applications. Using Barksdale's Shear-Seal® technology, these high pressure control valve products offer dependable performance and long life even when the media being controlled is contaminated with debris that would ruin ordinary valves. Featuring rugged ball bearing construction, hardened stainless steel seals and durable machined stainless steel bodies and housings, these valves provide trouble-free performance for your critical application in the harshest environments. Barksdale's Microtorque® control valve provides superior directional control for fluid power applications up to 41.3 MPa where compact design and virtually zero leakage* are a must. Utilizing Barksdale's Shear-Seal® technology, the Microtorque® Control valve offers reliable performance and lapped metal-to-metal sealing surfaces that will easily tolerate contaminated fluids. 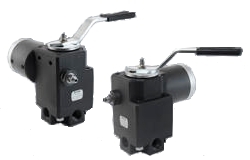 This control valve offers many options that make it extremely versatile including panel mounting, spring return, 2 or 3 position detents, DO3 manifold mounting, and non-interflow. Leveraging the flexibility and unique features of the Microtorque® control valve, along with its superior performance, can result in bottom line savings and operational benefits. Barksdale's High Pressure OEM control Valve line provides exceptional directional control for fluids up to 20.7 MPa in the toughest industrial applications. Using Barksdale's Shear-Seal® technology the OEM control Valve products offer dependable performance and long life even when the media being controlled is contaminated with debris that would ruin ordinary valves. 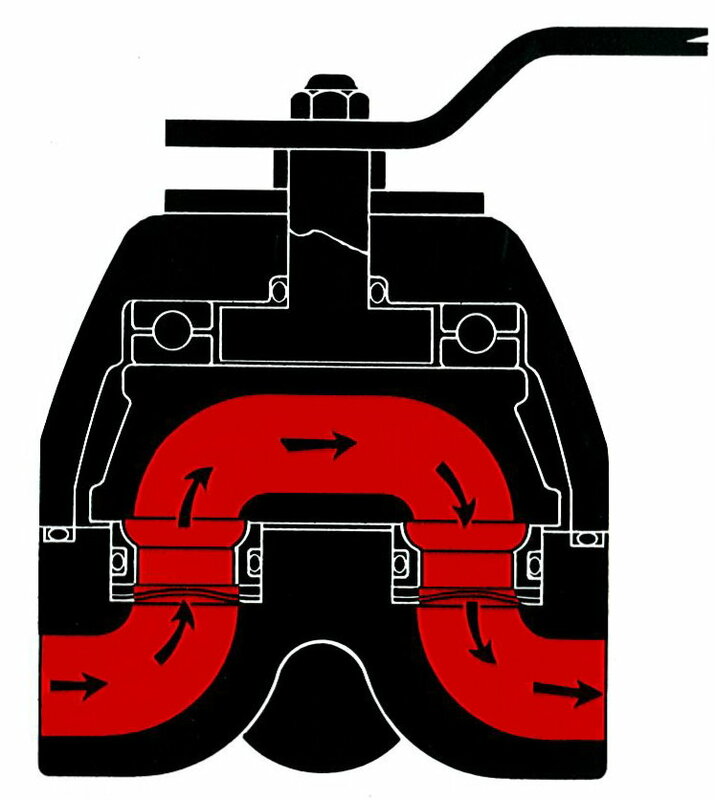 Different flow patterns are built into this OEM line the "Closed Center-Manipulator", also known as "Float Center", where in the center position the pressure port is blocked and the cylinder ports are open to the return port. 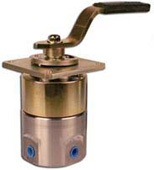 Other models features "Open Center-Manipulator" also known as "Open Center" features a flow pattern with the pressure port, cylinder ports open to the return port. Barksdale's High Pressure OEM Control Valve line provides exceptional directional control for fluids up to 20.7 MPa in the toughest industrial applications. Using Barksdale's Shear-Seal® technology the OEM Valve products offer dependable performance and long life even when the media being controlled is contaminated with debris that would ruin ordinary valves. Flexibility is built into the OEM line which features several standard options that can be adapted to meet the unique needs that OEM customers require in their products. Barksdale's Series 9000 Valves control hydraulic fluids and gasses up to 350 psi. Featuring Barksdale's famous Shear-Seal® technology, the Series 9000 Control Valves offer dependable performance and long life for manual control of commercial and industrial process applications. The versatile design of this control valve offers the ability to tailor the perfect configuration to meet your installation requirements. Barksdale's Low Pressure OEM Control Valve line provides exceptional directional control for fluids and gasses up to 3500 kPa in the toughest industrial applications. Using Barksdale's Shear-Seal® technology the OEM Valve products offer dependable performance and long life even when the media being controlled is contaminated with debris that would ruin ordinary valves. Flexibility is built into the Low Pressure OEM Valve line which features several standard options that can be adapted to meet the unique needs that OEM customers require in their products. Barksdale's patented Series II control valve provides an optimal solution by combining the dependable features of our heavy duty Shear-Seal® valves with the reliability of a rack and pinion pilot actuator, all in one integrated package. 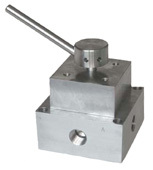 With the ability to handle high velocity flows at pressures up to 41.3 MPa and tolerate contaminated media, the Series II valve becomes the choice for the toughest applications. Barksdale's Series III-L valve provides an optimal solution for the upmost reliability and safety by combining the dependable features of our heavy duty Shear-Seal® valves with the reliability of the integrated actuator, providing an all in one package saving customers time in installation and maintenance. With the ability to handle high pressure up 34.5 MPa while maintaining a high flow capability of 75 GPM, the Series III-L is well suited to tolerate contaminated media. The combination of the high flow and high pressure and virtually zero-leakage* makes the Series III-L valve the choice for the toughest applications where zero-leakage* is a must.